Mobie Folding Scooter, Lightweight And Simple. A spare battery is available which sits in the floorpan giving you up to an extra 10 miles of travel before the batteries require charging. 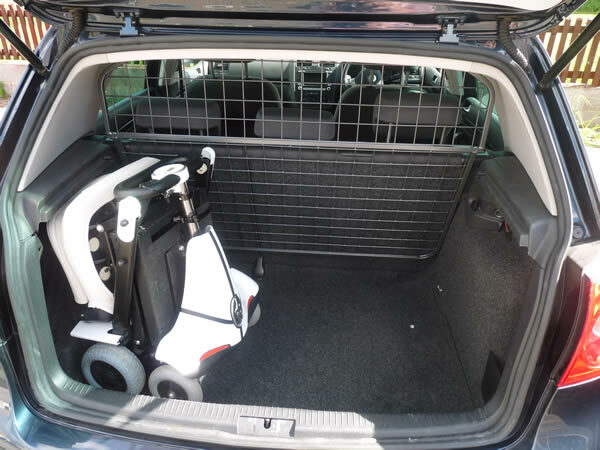 An off board charger is available so you can charge the batteries indoor whilst leaving your Mobie scooter in your car.Arm rests are also available for extra comfort. When your Mobie scooter is folded you can simply use the tiller handle to pull the scooter behind you like you would a carry case. Mobie electric scooters are pavement-legal and ready to go. They're can stand up to plenty of outdoor use and offer good clearance for covering uneven ground without a care in the world. On a full battery charge, the spare that sits under floor provides a range of up to 10 miles (16km)- not bad even for a bigger, heavier scooter and fantastic for something so lightweight. 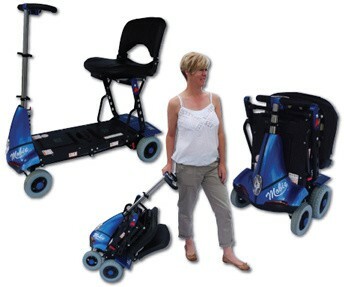 The battery can be charged in place or removed for charging off-board, which is great for saving space and limiting the amount of times your Mobie Scooter needs to be moved. The Mobie comes in red, blue, or white, and with your choice of extras. 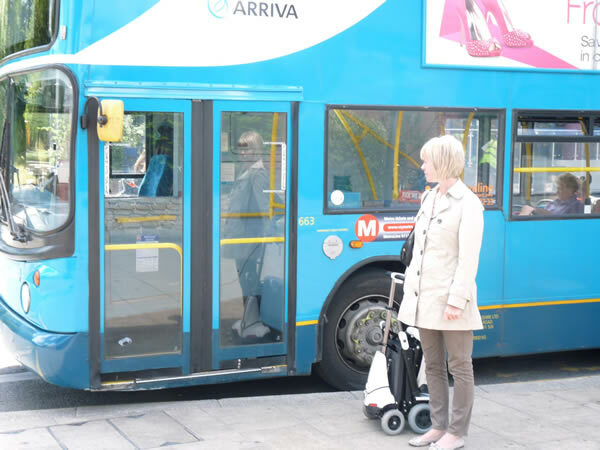 Call 01642 805050 or email enq@activemobility.co.uk if you have any questions or want to talk through the options.